Speaking to ex-Poundworld workers about how they're trying to find new retail jobs on a turbulent high street. 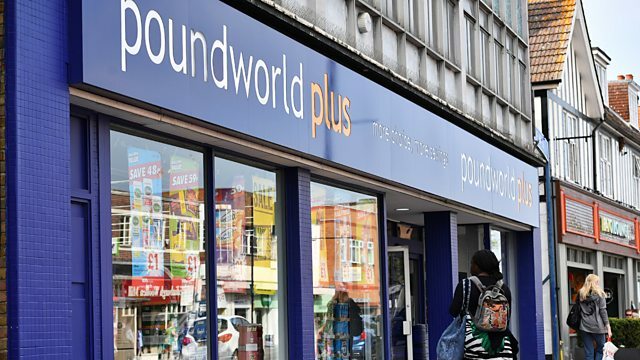 We speak to ex-Poundworld workers about life after the store closed, and how they're trying to find work on a turbulent high street. What was your favourite Christmas TV advertisement this year? Our listeners help us review which retailers did well and which didn't. Christmas is an important time for food manufacturers, we find out how small artisinal producers are finding trade this year as consumer confidence falls. Are we willing to spend a little extra on something special? And, this year has seen the rise of veganism and meat-free alternatives. We speak to the boss of Quorn about the increasing competition for shelf space in supermarkets as more meat-free products come on the market.